Dogs, beer and bikes go together! Cycle Dog custom branded dog products are made with reclaimed bike inner-tube rubber and hand-sewn in Portland, Oregon. 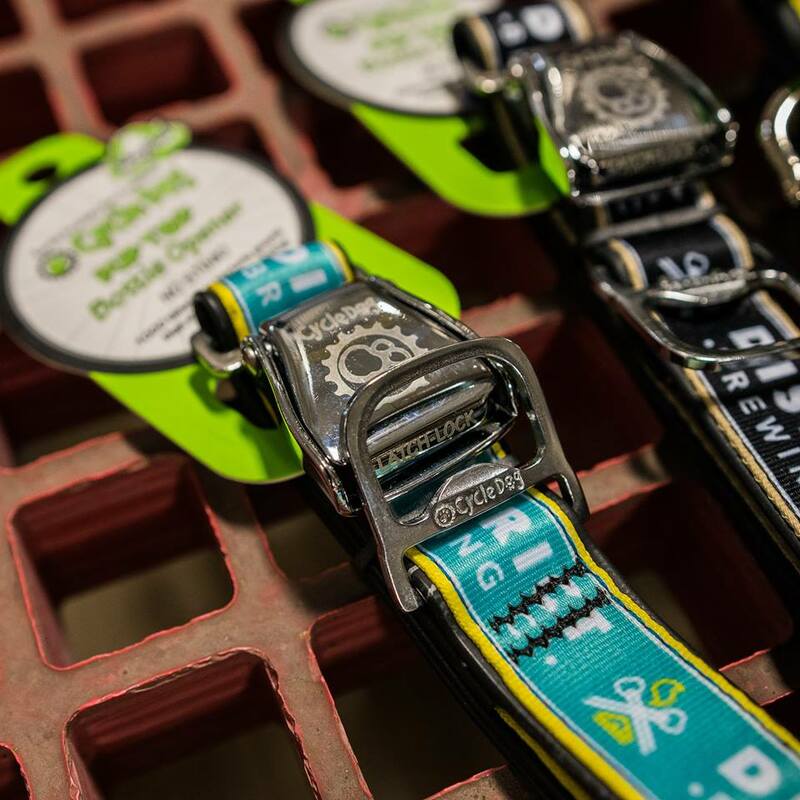 50% of the profits from every collar sold is donated to local animal rescue organizations across Saskatchewan such as Prairie Sky Dog Rescue. Gift your pup a shiny new collar for Christmas this year or give one to your neighbor who seems to keep losing his dog around town. They are comfortable for your pup and brightly colorful so you can spot your pet from a mile away!